Lobular Breast Cancer: Section 5.b. Forward to 5C on papillary types Back to 5A ductal cancer types. Invasive lobular carcinoma (ILC) is the second most common type of invasive breast cancer, representing between 5% to 10% of all breast cancer. With the implementation of the breast screening program, rates of detection of invasive lobular carcinoma (ILC) have increased by 65% from 1987 to 1999, while rates of ductal carcinoma have increased by 3% (Li et al., 2003). Yes, diagnosis on mammograms is improving, but lobular cancer is sometimes very good at looking exactly like normal tissue on a mammogram. Until recently, specialists did not histologically grade invasive lobular carcinoma (ILC). Indeed, specialists assume ILC to be a moderately-differentiated or Grade 2 carcinoma. However, the 2012 tumor grading of invasive lobular cancer (ILC) and Pathologists will use grading systems such as the ‘Nottingham grading system’ (Elston & Ellis, 1991). The majority (75%) of classic ILC are Grade 2 (using the Nottingham grading system) with ILC Grade 3 more likely to be of solid and pleomorphic sub-type. The 2012 WHO guidelines recommend the use of immunohistochemistry staining for E-cadherin in distinguishing ILC from NST carcinomas. However, caution is necessary because up to 15 % of ILC also express E-cadherin (e.g. the tubular-lobular variant). There are some important features of invasive lobular carcinoma (ILC), particularly when compared with invasive ductal carcinoma (IDC) of the breast (Rakha et al., 2010). In the U.S., the incidence of the diagnosis of lobular breast cancer is increasing more rapidly than that of ductal cancer. In post-menopausal women, hormone replacement therapy (HRT) may carry a stronger risk for lobular cancer than for ductal cancer risk. Invasive lobular cancer has a less well-defined margin than invasive ductal carcinoma, so may be more difficult to completely excise. Invasive lobular carcinomas do not always present with a palpable mass. This is because a fibrous tissue reaction is less common in cases of ILC. Lobular cancer can feel soft, with no lump. And the edges of the cancer are often blurry, not sharp, on the mammograms. Invasive lobular carcinoma (ILC) has a higher frequency of bi-laterality and multi-centricity than infiltrating ductal carcinoma (IDC). The microscopic appearance of ILC commonly shows small cells invading the breast in small groups or as single cells, often with ‘target-like’ arrangements around breast ducts. Lobular carcinoma in-situ (LCIS) is present in approximately two-thirds of cases, but DCIS may also accompany invasive lobular carcinoma. Invasive lobular carcinomas (ILC) are more likely than ductal carcinomas to be hormone receptor positive; usually they are estrogen (ER)-positive, with variant lesions showing occasional variable expression. Recent reports now show that the outcomes for invasive lobular carcinoma may be more favorable than for ductal carcinoma, but some less-favorable variants do exist (Orvieto et al., 2008). Invasive lobular carcinoma (ILC) tends to metastasize later than invasive duct carcinoma (IDC); this type of cancer can spread to sites such as the gastro-intestinal tract and meninges. 50% of invasive lobular breast carcinoma (ILC) contain E-cadherin mutations (Section 6). nuclei but with little pleomorphism, but note that they are non-cohesive. (dark blue cell nuclei and pale purple cytoplasm); B. Is a cell smear with a PAP stain. vessels and ducts; B. the single-cell, ‘Indian file’ invasive pattern. ‘Indian file’ is that a line of Indians or an Indian nail file? Looking at the slide, I think it just means ‘single file’ moose. There are several variants of invasive lobular carcinoma (ILC). However, whatever the variant might be, it is the degree of differentiation, or the grade that is now recognized to have prognostic meaning (Rakha & Ellis, 2010). The solid variant of lobular carcinoma, solid ILC contains large solid islands of lobular carcinoma cells. It is an important variant to recognize histologically as it can be mistaken for lymphoma. The histology of the alveolar variant of lobular carcinoma shows loose sheets and nests of carcinoma cells with central spaces or ‘alveoli.’ These are low-grade (Grade 1) tumors. Invasive pleomorphic lobular carcinoma (IPLC) has recently been defined as a carcinoma with a lobular growth pattern and marked nuclear pleomorphism (pleomorphism 3) (Rakha et al., 2013). Histological grade (in particular the mitotic cell count) in ILC has been shown to be of prognostic importance. IPLC is now considered as a unique sub-type of breast cancer. IPLC is not an easy breast cancer to diagnose, or rather, to classify. ‘Pleomorphic’ cancer cells can occur in other kinds of breast cancer, such as sarcomas of the breast and metastatic tumors to the breast. To make a classification even more difficult, ‘spindle cell’ differentiation may be found in 40% of cases and can make up more than 25% of the tumor volume. Unlike the more common variants of invasive lobular carcinoma (ILC), the pleomorphic variant can present as a palpable breast mass, with a minority found on screening mammography. Mammograms of pleomorphic ILC will tend to show well-circumscribed lesions without evidence of calcification. 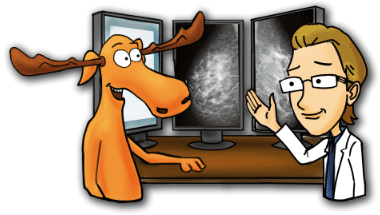 OR, sometimes the mammograms show vague density that is mistaken for normal tissue. Sonograms of pleomorphic ILC tend to show hypoechoic tumors or tumors with heterogeneous internal echoes. In other words, they are equally hard to find on ultrasound, and sometimes missed. Magnetic resonance imaging (MRI) can be used to diagnose pleomorphic lobular breast carcinoma; it will tend to show a homogeneous mass that might contain some small cysts. Pleomorphic ILC is a Grade 3 tumor with abundant mitotic figures. These cancers are negative for estrogen receptors (ER); most are also negative for progesterone receptors (PR). Figure 5.14 Invasive Pleomorphic Lobular Carcinoma (IPLC). Tubulo-lobular or ‘tubular-lobular’ carcinoma is a breast cancer variant that has hybrid histologic characteristics of invasive tubular carcinoma and invasive lobular carcinoma. The tumor cells are arranged in well-formed glands and single-file infiltrates. The radiologic appearances are similar to invasive lobular carcinoma, and there is the same tendency to multi-focality and multi-centricity. In terms of staging, these tumors behave more like invasive, moderately-differentiated ductal carcinoma. Often these tumors are ‘misclassified’ as invasive carcinoma with mixed ductal and lobular features (Rakha & Ellis, 2010). Hey, can you lend me 10 dollars. Money doesn’t grow on trees, you know. On histology, the mixed variant of lobular carcinoma can contain a variety of the appearances described and in varying proportions (Rakha & Ellis, 2010). Tubular breast cancer has become more commonly diagnosed with the advent of mammographic breast screening, but these are still quite rare breast cancers. Tubular carcinomas are usually about 1 cm in diameter or less; they are usually low-grade. The average age for diagnosis of tubular carcinoma is around the early 50’s. However, tubular carcinoma can occur in women at any age. Tubular carcinoma has a favorable prognosis with low-grade tumor cell nuclear features. The 2012 WHO guidelines recommend strict diagnostic requirements for tubular carcinoma, with characteristic features being present in > 90 % of the tumor, when examined microscopically. Tubular carcinoma is a low-grade carcinoma, with a relatively good prognosis. 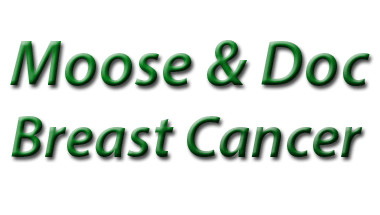 The presence of low-grade DCIS is present in about 60% of cases. Metastases of tubular carcinoma of the breast are rare (Sullivan et al., 2005). Invasive cribriform carcinoma also has a favorable prognosis. The 2012 WHO guidelines recommend strict diagnostic requirements, with characteristic features being present in > 90% of the tumor. On microscopy, invasive cribriform carcinoma shows packets of cells with lattice-like formations, invading the breast tissue. Invasive cribriform carcinoma is usually of low-grade. Usually, ductal carcinoma in-situ (DCIS) of the cribriform type is also present. A cribriform pattern can be seen in about 5% of invasive ductal carcinoma (IDC) of the breast. Mucinous or ‘colloid’ carcinoma accounts for between 1% and 2% of invasive breast cancers. In pure form, mucinous carcinoma has a good prognosis (Type A subtype). But a hypercellular or large cell form (Type B) is now shown to have a prognosis similar to that of NST tumors. The SEER data analysis show that mucinous carcinoma cases have the oldest mean age at diagnosis (around 65 years). Mucinous carcinoma has a soft, gelatinous appearance on gross examination, and they tend to be well-circumscribed. Mucinous carcinoma is characterized microscopically by nests of tumor cells within ‘pools’ of extracellular mucin. The tumor cells have uniform, low-grade cell nuclei. As with tubular carcinoma and cribriform carcinoma, mucinous carcinoma has a more favorable prognosis. Medullary carcinoma accounts for between 1% to 10 % of invasive breast cancers. Why are these tumors called medullary? I thought the medulla was in the brain. It’s called medulla because the tumor is a soft, fleshy mass that resembles that part of the brain. Mammographic X-ray shows a rounded or ovoid mass with ill-defined margins. Micro-calcification is not a feature. On gross examination, medullary carcinoma is well circumscribed, soft and tan-brown with areas of hemorrhage or necrosis. On microscopy, the tumor cells appear to be poorly-differentiated (high-grade), the cells grow in a syncytial pattern (they appear to fuse), and have an intense associated lympho-plasmacytic infiltrate. This group of tumors has a relatively good prognosis, possibly due to the associated lymphocyte infiltrate and their presence in patients with BRCA1 germ-line mutations. The prognosis for pure medullary carcinoma is more favorable than that of infiltrating ductal carcinoma (IDC), despite the tumor’s appearance. ‘syncytial’ formations; there are lymphocytes encircling the tumor. Apocrine differentiation occurs in ‘special-type’ carcinomas, such as lobular, papillary, and medullary tumors. For this reason, use of the term ‘apocrine carcinoma’ is now discouraged. The WHO (2012) now proposes that tumors with apocrine differentiation are classified according to their primary invasive component (ductal or lobular). Anyone know any brain teasers? You have 10 fish; 5 drowned, 3 came back to life. How many fish do you have? Stop counting smart one. Fish can’t drown! The 2012 WHO classification, groups together signet ring cell carcinoma with mucinous carcinoma. So, signet cell carcinoma is no longer a separate condition of the breast. Signet-ring cell differentiation can be present in several tumor-types, including invasive lobular carcinomas (ILC) or with invasive carcinomas NST, and with high-grade mucinous carcinomas. Signet-ring differentiation does not have any prognostic significance.